My quest for better sleep has been ongoing for the past 10 years. I used to sleep only 5.5 hours per night and the quality of sleep was poor. I was totally overworked and almost burned out after doing crazy hours in the ER and being literally on call for almost five years in a row. Working hours reached at its worst nearly 100 per week – average was easily over 60. So where did I cut the time for working out and socialization? You got it right, sleep. Since 2010 I have been trying out different medications, technologies, mattresses, pillows, beds, bedrooms and all kinds of herbs for achieving better sleep. But nothing can make it better if you have only limited time to spend in the bed. So that particular feature was the first step in optimizing sleep: simply spending more time in bed and changing my life the way it made sleeping more possible. For me it meant quitting the super hectic ER job and simply cutting back working hours. That was also the beginning for the journey on holistic health, integral medicine and biohacking. This article delves deep into the secrets of better deep sleep. But I want to cover all the basics too so that you know what we are actually talking about. I also suggest reading the Biohacker’s Handbook. Sleep chapter is the first chapter of the book and you can get it for free as e-book. Check it out here! Affiliate disclosure: This article does not include paid ads or purchased partnerships. The discount codes are for products that the writer of this article himself uses. The use of any discount code is paid to the writer with a small “affiliate” fee, which actually reduces the price of the product with the offered discount. In this way, all parties benefit from potential trade. The purpose of this article is to provide valuable information that one can improve her/his own well-being and prosperity. Medical disclaimer: The information provided in this article is not intended to diagnose, treat, cure, or prevent any disease. It’s not a substitute for a face-to-face consultation with your healthcare provider, and should not be construed as medical advice. This article is for informational purposes only. People who experience sleeping difficulties may first turn to prescription sleeping pills. Sleeping pills are a $1.6 billion industry in the United States alone. (2) The use of sleeping pills, however, carries a range of risks. These include dependency and withdrawal symptoms – such as sleeplessness, tiredness and memory problems – undesirable brain changes, and many others. The drug Halcion for example was withdrawn from the UK market in 1993 but it is still available in most other countries, despite it causing depression and memory loss. (3) In other words, the harm caused by sleep medication may outweigh its benefits. There is plenty of evidence that sleep is important. We can all recognize its value in our personal lives. Sleep is an anabolic state during which the body replenishes its energy storages, regenerates tissues and produces proteins. Without enough sleep, the human body cannot function properly. More and more research on especially deep sleep is popping up after the researchers and regular people have woken up to the fact, that they are not sleeping enough. Many Ouraring users have collectively noticed that they get minimal to zero deep sleep. Many have also suspected this to be accurate, but after getting the same readings for other devices and even from sleep laboratory examination the shock has been enormous. Which is good. Becoming aware of how you actually sleep makes room for change in behaviour and habits. Infrequent and low-frequency beta waves predominate in the EEG. EEG shows irregular oscillations. Theta waves are slower and higher in frequency than alpha waves. This is a transitory phase from wakefulness to light sleep. The sleeper changes position frequently, and is in a deep meditative state. However, if someone were to wake the person up, he or she might not feel like they had fallen asleep. A period of light sleep, during which there is little movement and the breathing is quiet. The second stage involves periodic surges in brain wave frequency, the so-called sleep spindles. 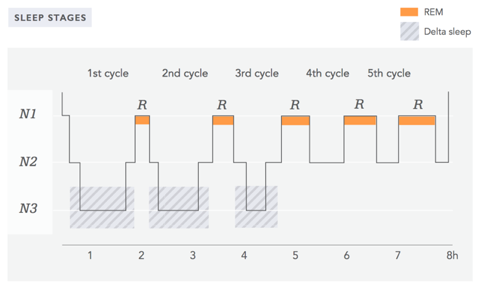 Brain activity during the second stage is more active than in the first stage. Dreaming becomes possible. Getting enough stage two sleep improves motor skills. (19) The person can still be easily woken up during this stage. A period of deep sleep, where breathing is stable and EEG readings consist of slow delta waves. Muscles are completely relaxed, and the pulse, body temperature and blood pressure have decreased. Production of human growth hormone begins, and the regenerative mechanisms of the body are activated. The sleeper will not wake if another person walks into the room. Pulse, blood pressure and body temperature are at their lowest. Duration: 30 to 40 minutes. Elderly people experience a shorter duration, by as much as six minutes. During a typical adult’s 7 to 8 hour sleep, the sleeper moves from the first stage, to the second, and to the third stage, then back again to the second stage. After this, the sleeper either wakes up or goes straight to REM sleep. From then on, the cycle repeats itself some 4–5 times. One full cycle lasts about 90 minutes. From the perspective of getting a good night’s sleep, it is paramount to maximise the amount of deep sleep (N3) by going through at least three cycles. Getting enough sleep reorganises one’s memory(23) and improves one’s learning capacity. (24) In the later cycles, the amount of REM increases and the amount of deep delta sleep decreases, until eventually the latter disappears completely. 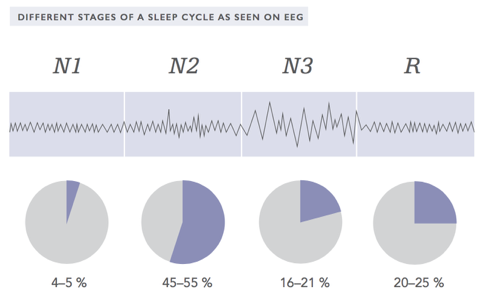 DIFFERENT STAGES OF A SLEEP CYCLE AS SEEN ON EEG. You must know those people whose sleep is so deep that even if you’d play drums next to the person, he/she wouldn’t wake-up. And at the other end of the spectrum are people who wake up at the slightest disturbance whether it’s a sound or other sensory stimulus. I tend to lean towards the latter, but with biohacking I have been able to turn myself more into a deep sleeper although I still use earplugs and a sleep mask. Basically this means that if you have an ε4 allele (like I do) you might need to pay more attention to sleep quality (especially deep sleep) and time spent asleep. This short review of some of the genes affecting and regulating sleep quality was just a glimpse of all the possible genes involved in sleep. I am looking forward to a comprehensive review on all the genes affecting sleep. Scientists at the University of Virginia found in 2015 a previously unknown connection between the brain and the immune system. Results were published in the highly respected Nature journal. The scientists discovered that the brain contains a lymphatic system (or glymphatic system due to its dependence of glial cells), which is linked to the general immune system. It was previously believed that the brain lacked lymphatic vessels completely. (30)(31) Well, what does this have to do with deep sleep? During wakefulness, chromosome dynamics are low and the number of DSBs is accumulated in neurons. This mechanism suggests that chromosome dynamics can define single sleeping neurons, and that one of the functions of sleep is nuclear maintenance. 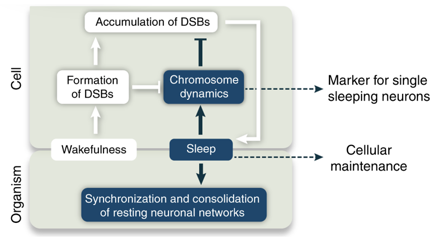 Therefore the beneficial role of sleep is to increase the chromosome dynamics that are essential for the efficient reduction of the number of DSBs in single neurons. These DSBs are increased in the nucleus by both external and internal factors (see picture below). Figure: A proposed model for sleep. Source: Zada D, Bronshtein I, Lerer-Goldshtein T, Garini Y, Appelbaum L. Sleep increases chromosome dynamics to enable reduction of accumulating DNA damage in single neurons. Nat Commun. 2019 Mar 5;10(1):895. Still, even when the research on sleep is moving forward and getting more detailed, the ultimate explanation to the question ”why must we sleep” remains without a comprehensive answer. And another question also remains to be answered: why some yogis need very little or no sleep at all. 😉 But before we get all the answers to these two deep questions, let’s move on! Light directly affects the production of melatonin, the so-called “hormone of darkness”, which is secreted mostly by the pineal gland during the hours of darkness. Melatonin plays a crucial role in the regulation of the sleep–wake cycle. (34) It is directly regulated by the major circadian pacemaker located in the suprachiasmatic nucleus (SCN) deep in the brain (pineal gland). Melatonin, among other things, promotes sleep and affects sleep quality. This phenomenon is also associated with the so-called social jet lag, which means the shifting of the circadian rhythm caused by staying up too late due to celebration or other reasons and resulting with symptoms of jet lag. (37) As a medical student with a lively social life, this phenomenon was once a rule for me rather than an exception, which also led to the development of long-term sleep problems. Light clearly has a central role in the regulation of our daily lives, and can be used to reset our circadian rhythms. Luminosity should reach at least 1000 lux in intensity to have such an effect – compare this to the 320–500 lux in a typical office and the 32,000 to 130,000 lux in direct sunlight. Photo: Light wavelength distribution with different forms of lightings. According to the National Sleep Foundation (based on studies) the best temperature for sleep is approximately 60–67 degrees Fahrenheit (15–19 degrees Celcius). (60) Temperatures over 71 F (24 C) are likely to cause impaired sleep quality, which is also true to too cold environment (53 F / 12 C or below). Sleeping in too hot bedroom deters especially REM sleep, but can also diminish deep sleep. (61) People with sleep-onset insomnia have delayed temperature rhythms. Using a sauna or exercising too late may interfere with sleep-onset and deteriorate deep sleep. (62) People with difficulties staying asleep often have nocturnally elevated core body temperature. (63) Therefore it is also crucial too cool down your body before going into sleep. For example yours truly sleeps in a bedroom where the window is always open (even in winter) and the average temperature is around 15 C in winter and around 19 C during summer time. One anecdote also comes from yours truly from last summer when it was super hot (+28–30 C) five weeks in a row: the room temperature was around 26–27 C and during that time my deep sleep was about 40 % below average. Limit late-evening alcohol consumption to two doses maximum if you are male and one dose if you are female. Alcohol reduces especially REM sleep, but it can also hinder you from entering deep sleep in the first part of the night. Tyramine increases the production of noradrenaline, which boosts brain activity and keeps you awake. The following food products contain tyramine, so they it might be vice to avoid or reduce their intake at dinner: bacon, cheese, chocolate, eggplant, potato, sauerkraut, sausage, spinach, tomato and wine. It goes of course without even saying that stronger stimulants (such as amphetamine and its derivates, cocaine etc.) will dramatically disrupt sleep. Now that we have covered all the important basic aspects on how to optimize your environment for better deep sleep, let’s dive in to all the tools and biohacks you can use to improve the quality of your sleep (especially to get more deep sleep). But before we go through different supplements and other hacks, here is the regime I go through almost every evening to get on average close to 2 hours of deep sleep per night. 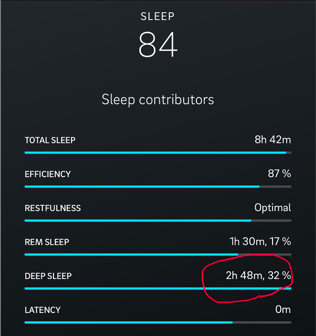 I used to have a decent 1 hours and 22 mins of deep sleep on average (seen with 1.5 years of Oura use, see below), but after implementing some new ”hacks” into my daily routine, I was able to elevate the amount of deep sleep dramatically. My record is 2 hours 48 mins (I’m almost 40 years old), which is a pretty spectacular amount of deep sleep for recovery, rejuvenation and anti-aging. My monthly average on deep sleep. A “monster” night of deep sleep. Certain supplements and adequate nutrients in your diet can support the body in the production of melatonin, help the body to relax, and induce brain wave patterns associated with the N3 phase. Many people use magnesium citrate, which is also ok, but is does not contain any additional support to the body and sleep (compared to above mentioned forms of magnesium). Magnesium citrate might also more easily cause loose stools (yours truly has also experienced this effect). Notice: Do not use magnesium if you are taking prescription medication to treat a health condition without first talking to your doctor or if you are on a low-sodium or sodium-restricted diet. Kidney insufficiency might also impair magnesium metabolism. Note: Instead of using GABA as a supplement, I encourage to go with amino acids that support GABA production and that work similarly to GABA (like taurine and glycine). One interesting effect on tryptophan depletion is prolonged REM sleep. (96) So if your diet is lacking tryptophan and you get loads of REM sleep, but not enough deep sleep, you might want to reconsider your tryptophan intake. Take 500–1000 mg L-tryptophan 1–2 times daily (for example Doctor’s Best L-tryptophan), preferably at night time. It is best absorbed when ingested together with carbohydrates. 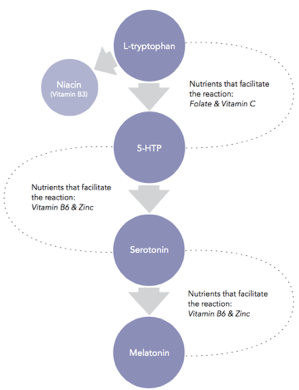 Folate and vitamin C help in converting it to 5-HTP. On average, about 33 % of food zinc is absorbed. (102) In fasting conditions, zinc is absorbed by as much as 60–70 %. Zinc from animal products absorbs clearly better than zinc from vegetable sources. Many plants (especially cereals and legumes, and nuts and seeds) contain zinc absorption preventive phytates. (103) Therefore if you are not supplementing with zinc you’d want to get it mostly from animal sources. Best food sources of zinc are reindeer liver, oysters, beef, elk, liver (average), egg yolk, lamb and vendace. Best vegetable sources of zinc are pumpkin seeds, cashew nuts, oat bran and brazil nuts. You might also consider trying ”a living” zinc supplement from Garden of Life consisting of 23 organically grown fruit & veggies providing 15–30 mg of zinc, if you are not eating any animal products. Optimal dosage for zinc implementation at night is 15–30 mg. Higher doses are not recommended for long term usage. Theanine is a naturally occurring amino acid in green tea. To get optimal dosage of theanine (200 mg) you’d need to drink 5–7 cups of green tea. But since it contains caffeine you don’t want to drink a lot of green tea just before going to bed. 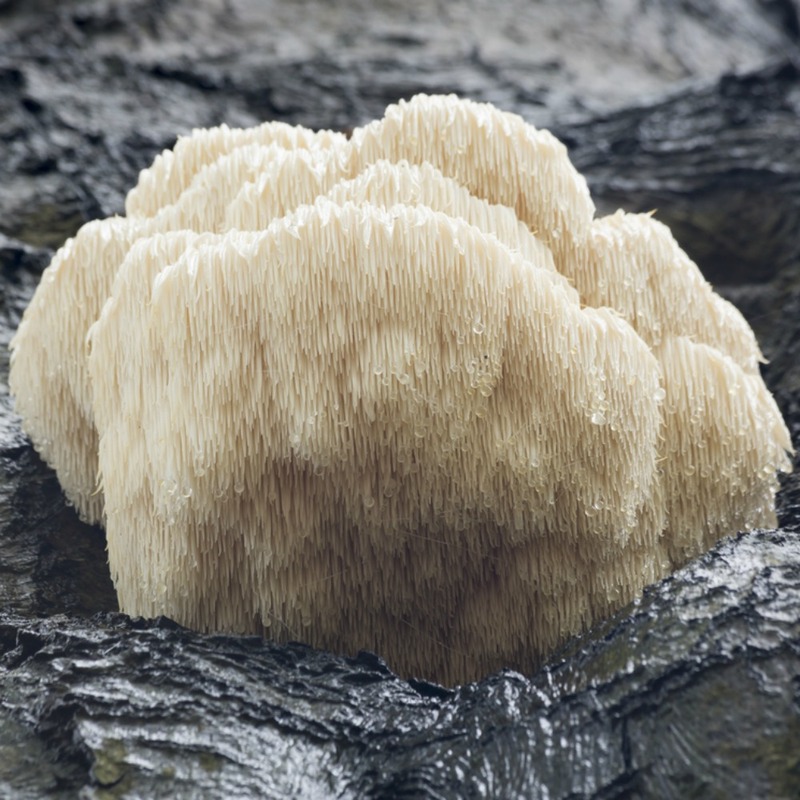 Therefore supplementing with theanine is by far the best option for its biological beneficial effects. It is still necessary to say that on many herbal remedies the studies are quite often of poor methodological quality. 8) Microdosing melatonin – a better way of stimulating sleep? However, according to a few clinical studies, low-dose melatonin (0.3–0.5 mg) is often more gentle to the body and provides similar effects on increasing sleep quality and decreasing sleep onset as seen with higher doses. A low dose doesn’t usually cause awakenings after the effects of melatonin dose wears off, which often occur with higher doses. (141)(142) I have personally also experienced that effect with higher doses: I often woke-up 5–6 hours after ingesting melatonin (dosage varying from 1–5 mg). Note: Continuous melatonin usage does not usually result in tolerance,(145) but loss of response to melatonin treatment can be caused by slow metabolism of exogenous melatonin due to decreased activity of CYP1A2 (e.g. SNP on a gene that decodes the enzyme). Especially if you are on a low calorie diet, trying to lose weight or you are not eating enough protein supplementing with EAAs can be highly beneficial for you body, also promoting more peaceful sleep. EAAs contain also tryptophan, which is crucial in the formation of melatonin (see section 2). I have personally seen better sleep, including more deep sleep, when supplementing with 10–20 grams of essential amino acids before going to sleep. We have now covered the basics on how you can get deeper sleep and we have also covered a wide variety of sleep enhancing supplements. On the market, there are some very interesting technological innovations that might help you to get deeper and better sleep. In my personal recovery and sleep regime I use also technology. 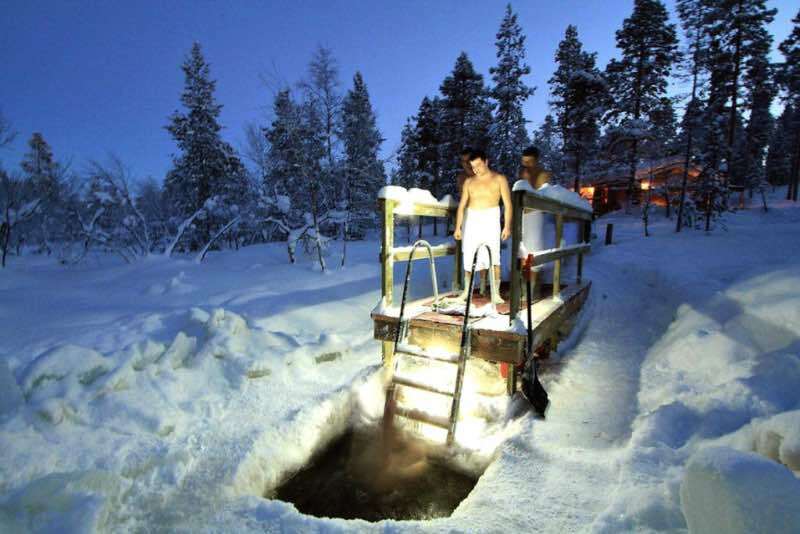 The general effects of sauna and cold exposure on the body are discussed in more detail in the “Exercise” section of the Biohacker’s Handbook. The stress control method very familiar to Finns is the hot and cold variation: you go from hot sauna to cool/cold water, which is repeated several times. I use the Clearlight Premier 1-person (non-EMF) infrared heating room or sauna almost every evening as well as every morning to increase recovery and improve sleep quality and boost detoxification. I also finish the sauna session with 2–5 minute cold shower every time. Clearlight saunas are in my opinion the highest quality IR saunas on the market. Use code SAUNAOLLI for a significant discount (hundreds of euros) on Clearlight saunas. Note: Clearlight infrared saunas are practically EMF-free, meaning that they do not emmit significant amounts of EMF radiation, like many other infrared saunas. This and their high quality has been the reason why I myself have chosen to use the brand. I have no idea if this bed used in the research is yet on sale, but that will probably happen in the near future. In the meantime, you might want to try a different device also using low-frequency vibration (whole body vibration treatment, WBV) to train your nervous system and get better recovery and improve sleep quality. This device is not used during sleep, but rather a few hours before going to sleep to prime your body for more relaxed state optimal for sleeping. Neurosonic affects the autonomic nervous system and mind via the body. The production of stress hormones is reduced, whereby the mechanisms associated with sleep return. A person calms down and it becomes easier to fall asleep. Nocturnal awakenings diminish and sleep becomes better and more reversible. In the preliminary research, Neurosonic has been shown to increase deep sleep periods as well as increase REM sleep. According to their research about 80 % of the people using Neurosonic benefit significantly only after 1 to 5 times using it and get help with sleep disorders. In a small pilot study published in 2016 in Finland conducted by the leading sleep expert in the country (professor Markku Partinen) they found that low-frequency WBV-treatment (Neurosonic) has beneficial effects on people suffering from primary insomnia. WBV-treatment also seems to relieve anxiety. (171) No major adverse effects were detected in the study. There are a few student thesis’ also published on Neurosonic. (172) According to the developer of Neurosonic, there is a major and methodologically high quality study being conducted in the University of Oulu. They are planning to release it this spring (2019). I have personally used WBV-therapy and especially the Neurosonic device for well over a year now. It has become a key part of my recovery and sleep routine every night. Use code BIOHACKER to get -5 % off the device. PEMFT stands for Pulsed Electromagnetic Field Therapy. Thus, it is a pulsating electromagnetic radiation that induces certain physiological effects on the area to be treated. Already in the 1950s, it was found that electrical potential affects bone growth. In 1974, positive research results on the effects of pulsating magnetic therapy on bone fracture and healing of various tissues were published. (173)(174) Since then, several hundred studies have been published on PEMF therapy in animals and humans. Over the past two decades, PEMF systems for treating the whole body have been developed, which can improve, for example, microcirculation and, consequently, metabolism. (175) Based on a meta-analysis published in 2009, PEMFT can relieve pain and improve performance in people with knee arthritis. (176) Some people also use devices as stress relieving therapies. Research on PEMF therapy for sleep is somewhat lacking, but there is at least one double-blind controlled study from 2001. In this particular study 70 % of the participants receiving PEMF therapy got substantial or even complete relief on their insomnia. I have used for over two years a BEMER pro set (B.BODY Pro), a whole body PEMF/microcirculation stimulation system, which is one of the oldest and most research PEMFT systems around. Ben Greenfield has experience on many other high quality PEMFT systems. Red light used in the evening is the ideal wavelength not only for melatonin production but also for stabilizing circadian rhythms (compare to blue light emission in the morning). (188) As explained in the beginning of this article, many of our biological systems are regulated by light and the circadian rhythms. There are a few studies on the effects of red light therapy to sleep either with direct measurement on sleep quality or with self-reported effects on sleep. According to a study published in 2013 the researchers found that red light LLL (low-level laser) stimulation with a frequency of 10 Hz to the palm showed increased delta-bandwith and decreased beta-bandwith in the EEG. (189) This kind of stimulation may be conductive to falling into sleep in patients with sleep problems according to the researchers. Increased delta/beta-ratio seen in EEG is crucial for getting more deep sleep (according to sleep researcher Matt Walker, PhD). Personally, I would like to see larger and methodologically better studies on red light therapy and sleep, but for now, the preliminary results are still very promising. I use red light (or NIR) therapy (I have the JOOVV light mini and Redlightrising Full stack red/NIR) every day, usually in the evening. If I am tired in the morning, I simply take 5–10 mins of red light to the back of my neck (activates brainstem, which controls sleep-wake rhythms)(192) and I’m ready to go! Redlight therapy to the back of the neck and intranasal infrared light therapy. I have used binaural beats for years now, usually just before going into sleep. I also use them when having a break or nap if my intention is to get a deeper relaxation effect. My favorite apps are Sleepstream 2, Pzizz and Brain.fm. The British Academy of Sound Therapy published a study in 2017 on a specific piece of music created to help people to drift off to sleep more easily. There were 42 participants in the study (of which around 50 % reported having sleep problems) worldwide and the results were very promising: almost third of the people in the study reported falling asleep more quickly and feeling more positive about going to sleep. (198) You can listen to the audio for free here. I haven’t yet tried this, but I certainly will give it a try. Since the 1950s, hundreds of studies have been published on meditation. The most recent ones that involve brain imaging and EEG have rectified some of the methodological errors of earlier studies and deepened our understanding of the health benefits of meditation. A comprehensive meta-analysis study published in 2012 covered 163 studies on the psychological effects of meditation. (199) As many as 595 studies had to be excluded due to methodological issues. The most robust psychological effects have been reported in relation to emotional factors and human relationships. Read more about the psychological and physiological effects of meditation in the Mind Chapter of the Biohacker’s Handbook. No matter what kind of meditation technique you choose, it can still help you to relax and make your mind and body more receptive for entering deep sleep. Yours truly has been practicing various forms of meditation well over 10 years now and it has been probably the single most effective thing on controlling the mind and relaxing the body during the day and before going into sleep. Great! You made it through with this massive article on deep sleep. What next? Well, first begin with becoming aware your sleep quality. Then, start making changes related to your sleep habits presented in this article. After that, I highly recommend that you order the Biohacker’s Handbook, if developing yourself as a more complete and healthier human being is your goal.